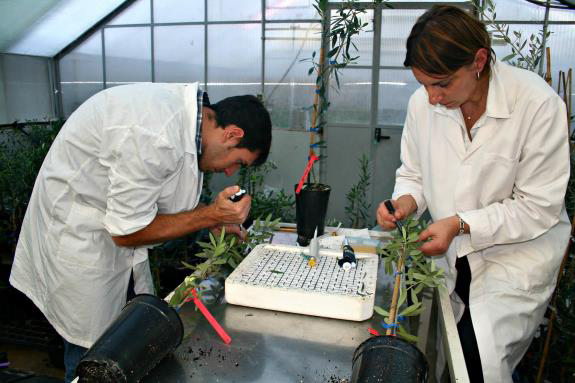 Scientists analyze olive samples for Xylella fastidiosa. The setting is a mellow fall day in the vineyards of the Santoro Tenuta in the Valle d’Itria, an agricultural wonderland now the epicenter of efforts to stop the spread of Xylella fastidiosa, a lethal plant bacterium killing thousands of olive trees here in Puglia, the boot-heel of Italy. The transitional period for Australia’s new Country of Origin labelling requirements is almost over and from 1 July 2018 all businesses involved in the sale of food product around Australia must comply with the new requirements. So if you’re not prepared already, it’s time to ensure you know how your products need to be labelled and have that appropriate labelling in place. 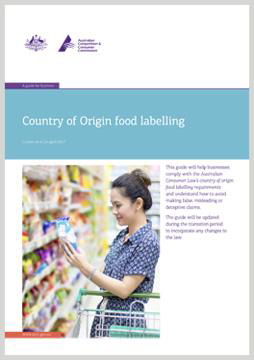 There’s a suite of resources available from the Australian Competition and Consumer Commission (ACCC) to help you through the process, including a comprehensive Country of Origin food labelling guide – available for download here. 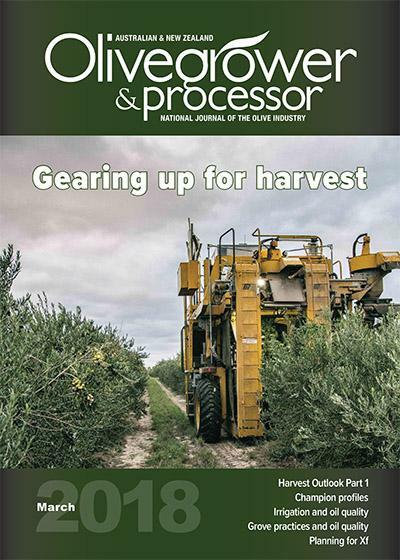 You’ll also find help in the comprehensive guide to the new CoOL system, including olive product specifics from the AOA, in the June edition of Olivegrower & Processor. Subscribers can login and view back issues here - and if you’re not a subscriber you can do so here . The headline says it all – a goanna with taste! Got something to sell? Or want to buy? View listings now! 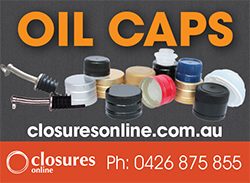 To find out more, or arrange a listing, contact Gerri at editor@olivegrower.com.au. Agricultural tourism and working holidays are a big part of many farm operations, though naturally these activities pose a big risk of introducing or spreading diseases, pests and weeds. In the wake of a number of large agricultural events, many of which have featured displays, open days and property tours, Animal Health Australia and Plant Health Australia are reminding producers hosting overseas or interstate workers, tours and field days to manage those risks appropriately. More information here. Australian researchers found extra virgin olive oil to be the safest and most stable even when used at high temperatures, dispelling a common myth about cooking with olive oil. In case you missed our previous coverage … and because it’s great to see Australian myth-busting research getting global coverage. Applications are open for the Governor of Victoria Export Awards, rewarding successful and innovative exporters. Open to all Victorian exporters, regardless of business size or total export sales, the awards provide recognition in local and international markets. More information here. A free agribusiness-linked resource library is available from the Agribusiness Development Institute, which is also running some MLA and Queensland Government-subsided courses. More information here. Horticultural Innovation Fund offers up to $50K for applied R&D projects that contribute to a more productive and profitable horticulture sector. Preference given to projects with some Victorian involvement. Deadline 30 June. More information here. Since the beginning of European settlement, olive trees have been a familiar sight in Adelaide and the surrounding countryside. Although olives were introduced earlier in other colonies, SA can lay claim as the historic centre of the Australian olive industry. Food historian Craig Hill and Olives SA present a fascinating insight in a talk and tasting being held as part of South Australia’s History Festival. Details: St Peters Town Hall – 2-4pm, Saturday 19 May - free. More information and bookings here. Imagine diving head-first into the olive oil industry with little to no experience. Well, that’s precisely what one Kiwi did. Despite working in the corporate world for decades, David Walshaw traded in his business suit for a shot at his own olive oil business. 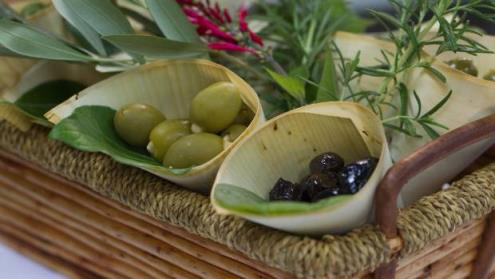 Stuffed green olives are placed in bamboo cones for a tasting session. Nuutea Itchner/Stuff. Tucked away in a corner of Witt's New Plymouth campus is a garden producing autumn treasures – olives, figs and feijoas. There are more offerings in here, but it's the Mediterranean fruit that's captured the imagination of chef tutor Alex Dickie and four Level 3 cookery students. Not sure if the salinity egg test would meet commercial food production standards but it’s great to see a chef promoting the freshness of local NZ oils and olives. The 2018 ONZ Conference will be held at the Copthorne Solway Park, Masterton on Saturday, 13 October. The program will include presentations on the Focus Grove Project by Stuart Tustin, Factors affecting the Longevity of EVOO by Pablo Canamasas, Olive Growing in Argentina by Esteban Santipolio and a summary of the Consumer Research Survey. The NZ EVOO Awards Dinner will be held that evening at the same venue, followed by a Field Day at Leafyridge Olive Grove on the Sunday. Mark the dates on your calendar and keep your eyes out for flight deals! Registration and accommodation booking forms will be available soon. The Ministry for Primary Industries has begun consultation on whether New Zealand should have a new organic regulation. Public submissions can be made until 5pm on 11 June 2018. Find further information regarding the proposal, dates and locations for public meetings, and how to make a submission, here. The World Health Organization (WHO) has launched a public consultation on draft guidelines for intake of saturated fats and trans-fats. Countless studies have proved the health benefits of olive oil. Why are we consuming less today than we did 14 years ago? 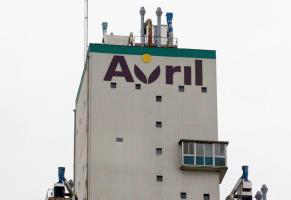 France’s Avril has purchased a majority stake in Italian olive oil maker Costa d’Oro, making it the third largest producer in the fast-developing market, the oilseed group said on Tuesday. Fermentation is making a ‘comeback’ in western markets, with growing demand supported by consumer perceptions of it as a ‘natural’ and ‘healthy’ food preservation method. Let’s hope that includes delicious naturally-fermented olives! My wife and I are recently back from co-hosting an Oldways-sponsored culinary travel adventure through Sicily. We ate, we drank, we toured, we made friends, we saw the dual beauties of nature and ancient civilization, and then - inevitably - we ate and drank some more. The trip and the cuisine were both memorable in many particulars, but I will focus here on one: olive oil. The value of olive oil exports has increased by 180%, from the beginning of the export season from 1 November 2017 to 30 April 2018, posting a 12% increase in the average export price, compared to the same period last year, the Ministry of Agriculture, Water Resources and Fisheries said in a statement on Thursday, May 10, 2018.